Our first Easter camping trip was at Lake Lurleen. This was my table. My friends teased me for this setup, but I don't care. 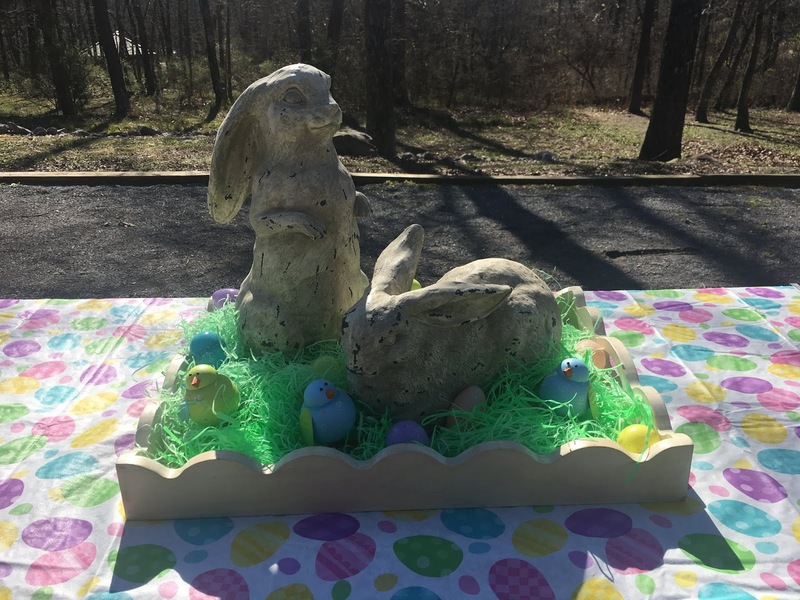 You will see this bunny again at Easter this year! This holiday brunch includes eggs, ham, fruit, bread and something sweet. I think that covers all of the bases. You can prep much of this ahead of time leaving you plenty of time to sleep in and relax as opposed to rushing about and trying to look fancy! 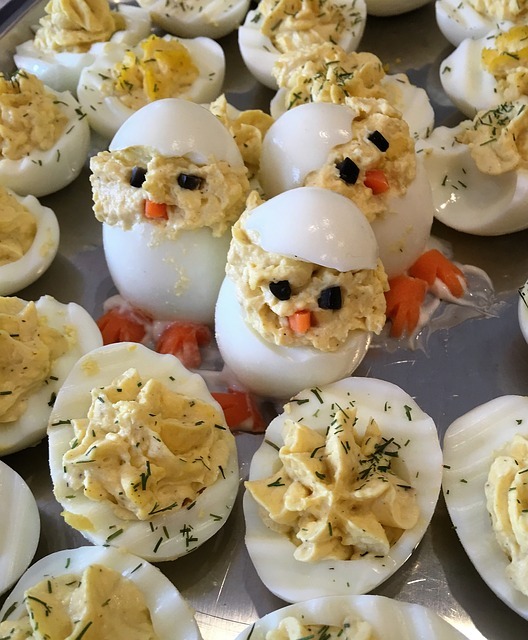 You can get creative with how you display your eggs, but no matter what you do deviled eggs are winners at Easter! Everyone has their idea about what deviled eggs they like and how to prepare them. If you have a favorite recipe, feel free to insert it here. I've included a classic Southern recipe in my spreadsheet that is just eggs, mayonnaise, mustard, sweet relish, salt, pepper, and paprika. Honestly, sticking to a simple recipe works. It cuts down on so many ingredients. And it is less complicated when pairing with the overall meal. There is a reason that you remember your grandmother's deviled eggs so fondly. And her deviled eggs were probably just those few ingredients I listed above. If you haven't done a basic deviled egg recipe lately, give it a go. You may find your way back to something from your youth that you love. These two-ingredient biscuits can be prepared before your brunch. I cook them in our Coleman Camp Oven at the campground with little fuss. Next, make it easy by creating a ham, cheese and biscuit bar. 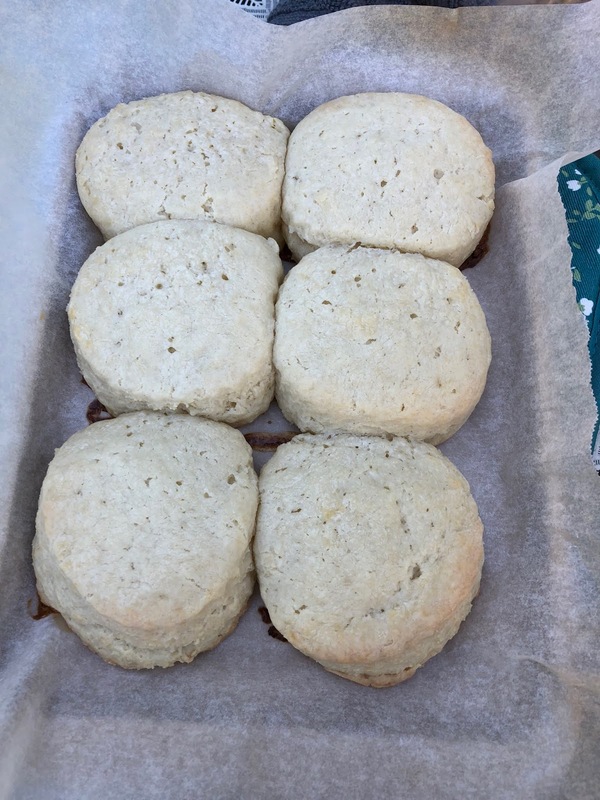 You can make your biscuits from scratch using my two-ingredient method. But, you can always just pop a can and call it a day. To this, add some cheese and deli sliced ham with nice mustard and spreads. Get something that you like and is not your ordinary yellow variety. And you can make some fun little sandwich combinations with this tray. If you want, add some olives or pickled vegetables to the mix. 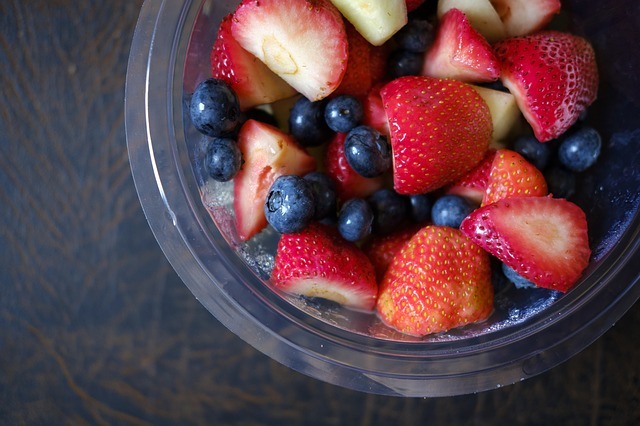 If you don't want a dressed fruit salad, then use simple fruit that is in season chopped and tossed for a salad option. You could even do a yogurt parfait bar with granola too! Fruit salads always work well for a brunch. This fruit salad with honey mascarpone dressing is perfect for Easter. Make the dressing ahead. 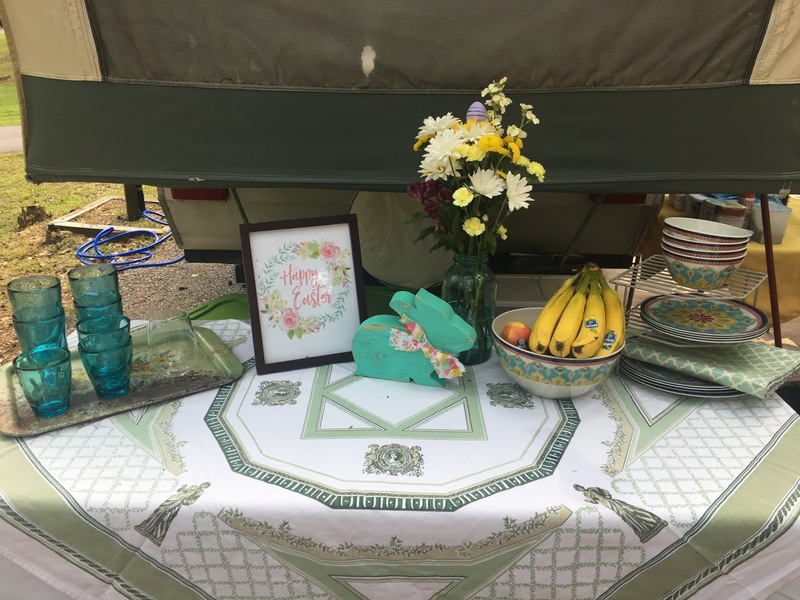 Toss with your fruit at the campground, and you are ready to go. 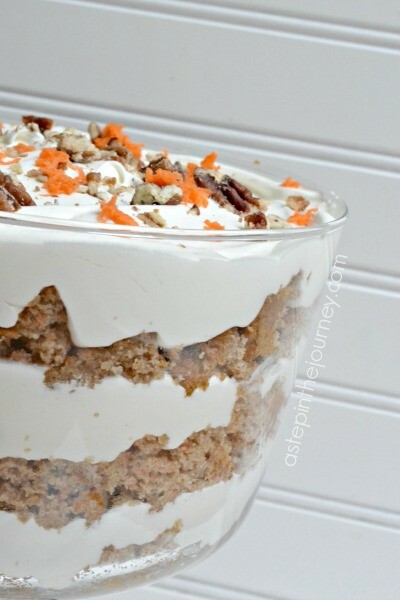 This Carrot Cake Trifle from A Step in the Journey could be prepared and place in mason jars for individual servings. 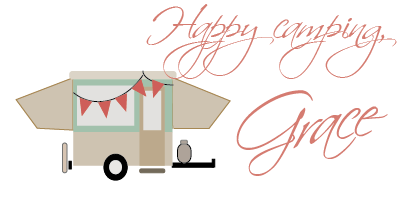 Prepare your Carrot Cake Trifle and attach your Easter message tags to each one. Finally, I love mason jars. It is one of my favorite ways to serve anything from drinks to desserts. 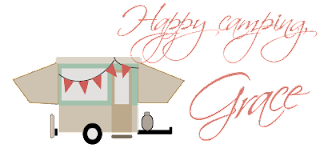 I found a Carrot Cake Trifle recipe from A Step in the Journey that you could layer into mason jars. Use the half pint size jars for individual servings. Make the cake and whipped topping ahead of time and assemble at home. With the lids intact, this would be a transportable dessert that can just be served to campers in their own serving container that morning. You could even attach an Easter message on each one. But, you could also just make the trifle in one container and transport and serve without the single-serve option. 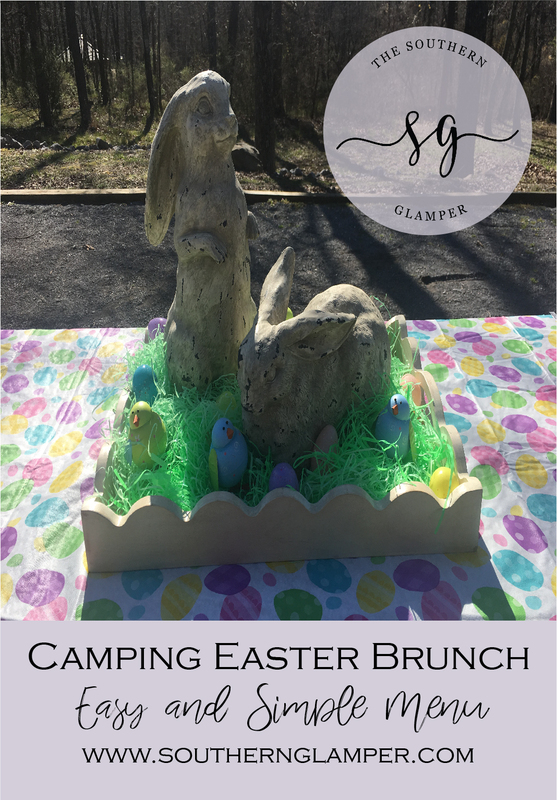 You can decide how you want to make your Easter table festive. 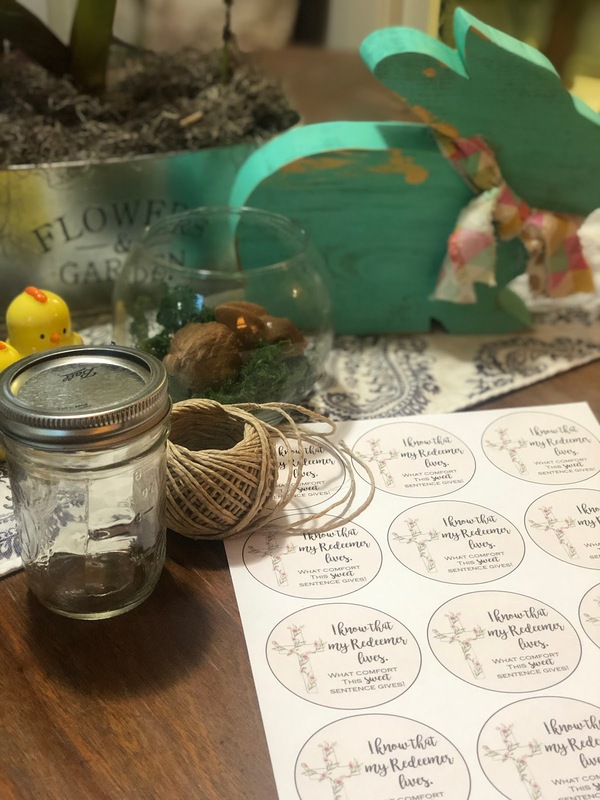 Finally, you could attach these tags to a chocolate bunny or cross or other Easter treat if you didn't want to attach to a mason jar dessert. You could use this for lots of different options. 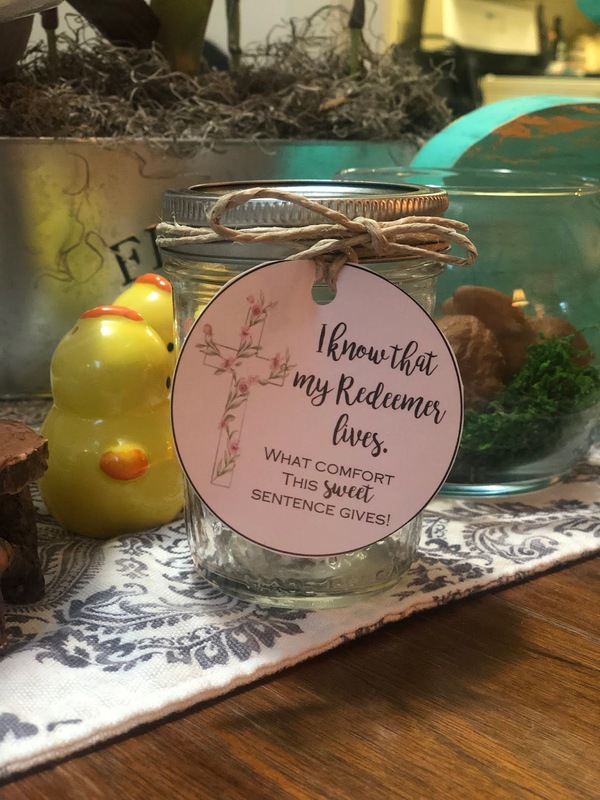 You could use these tags for Sunday School or other places where you might need a religious message at Easter. 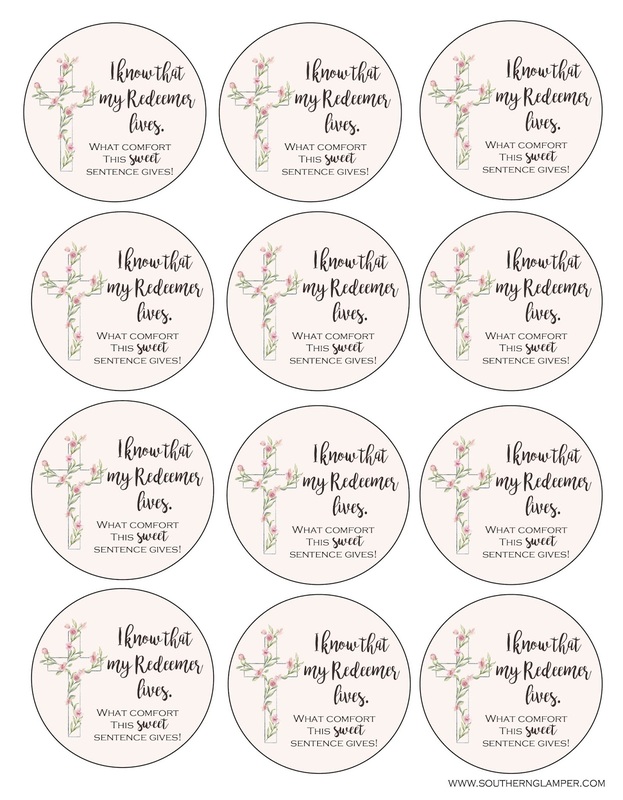 Download and print these tags to use for lots of different options on Easter.